Providing a cutting-edge examination of the mechanisms underlying depression, this volume integrates important areas of research that have largely remained separate. 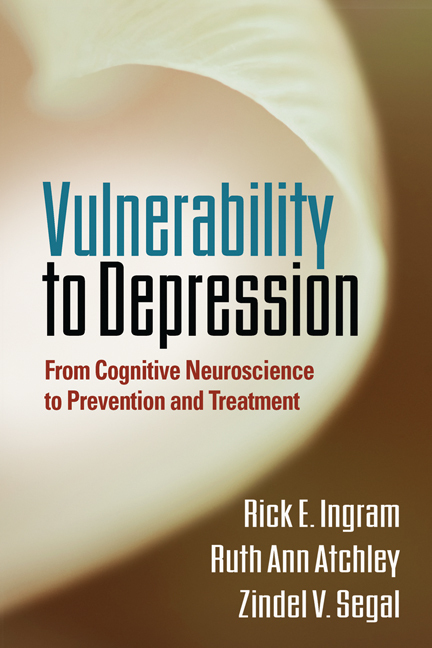 The authors explore both the cognitive and neurological processes that make some people more vulnerable than others to developing depression and experiencing recurrent episodes. They also probe how these processes interact—how negative life experiences, maladaptive belief systems, and patterns of thinking may actually affect neural circuitry, and vice versa. Explaining sophisticated theory and research in an accessible style, the book highlights the implications for improving clinical practices and patient outcomes.